Remove hose fitting (Figure 1, Item 2) from check valve (Figure 1, Item 1). 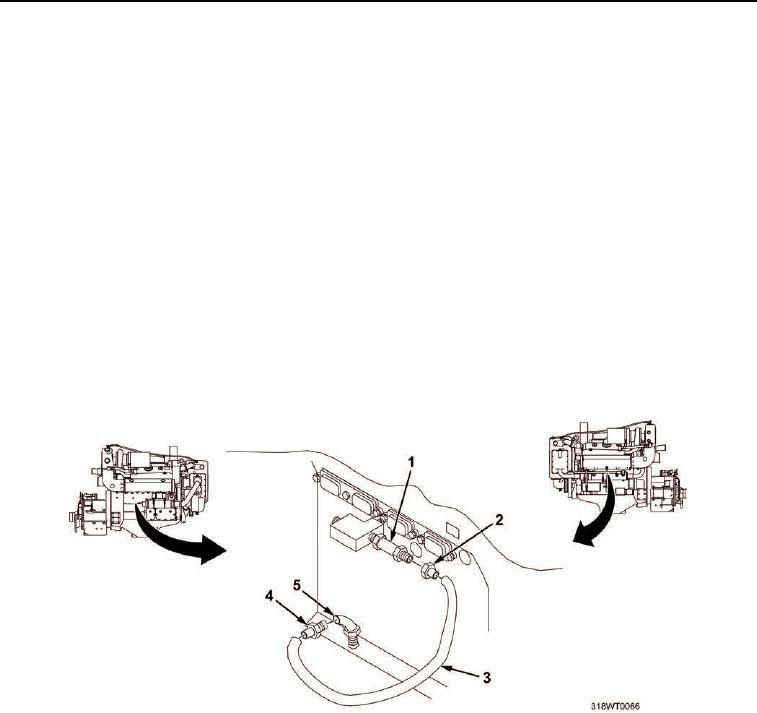 Remove hose fitting (Figure 1, Item 4) from fitting (Figure 1, Item 5). Remove drain hose (Figure 1, Item 3). Remove fitting (Figure 1, Item 2) from drain hose (Figure 1, Item 3). Remove fitting (Figure 1, Item 4) from drain hose (Figure 1, Item 3). Discard hose (Figure 1, Item 3). Install fitting (Figure 1, Item 4) in new drain hose (Figure 1, Item 3). Install fitting (Figure 1, Item 2) in new drain hose (Figure 1, Item 3). Install hose fitting (Figure 1, Item 2) on check valve (Figure 1, Item 1). Install hose fitting (Figure 1, Item 4) on fitting (Figure 1, Item 5).